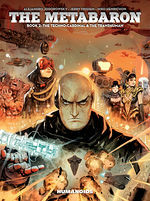 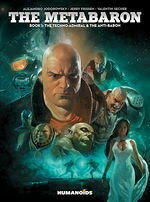 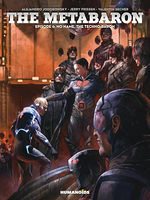 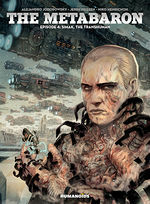 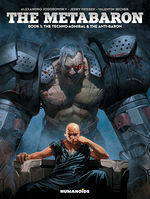 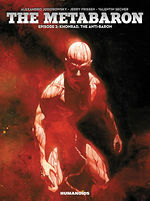 The Metabaron enters a parallel universe to find the epiphyte, in order to save his own universe. 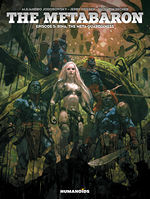 But on the planet Algoma, the epiphyte is protected by a cast of women warriors called the Meta-Guardianesses, who refuse to help him. 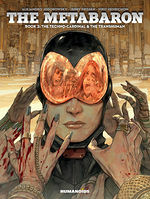 Things get complicated when The Metabaron falls in love with the Meta-Guardianess leader, Rina, at the same time the Techno-Techno army turns up, led by Orne-8, their new Techno-Pope.